Recently, we put things in order in the apartment. 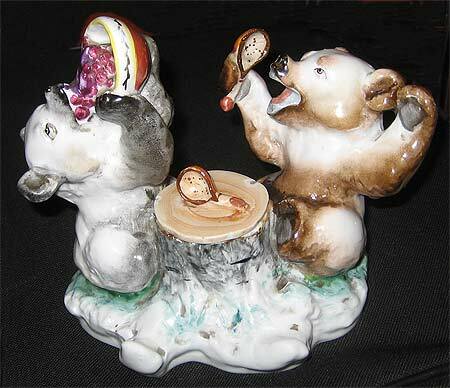 We found two old ceramic figurines. 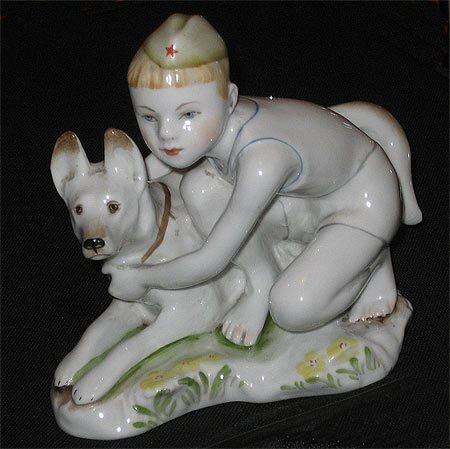 Figurines were made at the Leningrad Porcelain Factory during the Soviet era. Now they look very good. Now it's an antique. The following two photos. Earthenware sculpture of "Pioneer with a dog." Summer is the best time to travel to Prague. But what to do if free time appeared at another time? For example, in December? Go to Prague, or not? December is a good time to travel in Europe. Prague is very beautifully decorated for Christmas. In addition, a package tour to Prague before the New Year holidays can be bought at a fairly reasonable price (if you're lucky). Making money on your own travels is the dream of many young people. What can you still dream about? You visit different cities and countries, admire the sights, bathe in different seas and sunbathe on the best beaches. You share your experience (your joy) with other people (who sit at home and also want to travel) and get paid for it. Is it real or not? Yes and no. Where to go on vacation in the winter, if you want to the sea, the sun and warm weather? The choice is pretty big. For example: Thailand, India, UAE, Cuba, Vietnam. Another resort in the tropical region appeared recently. This is the island of Hainan (China). It is said that China compensates for their tour operators part of the cost of tourists transportation from Russia. This has led to the fact that the tour from St. Petersburg to the island of Hainan (Chinese resort island) can be purchased at a price much cheaper than the cost of a regular flight. Paris is the most publicized city in the world. We have long had a desire to visit Paris. But we did not have sometimes free time sometimes money. Circumstances have pushed realize this desire. Short about the short trip on this page: St Petersburg - Paris. Greece is one of the most popular countries in Europe for a summer holiday this year. Crete is the largest and most southern island of Greece. The island has two international airports, close to the towns of Heraklion and Chania. Arriving here from all European countries tourists are leaving to the island resorts. Everyone knows the main attractions of St. Petersburg. But this is only a small part of the city. In the central part of the city there are many buildings do not stand out. A lot of new buildings are on the outskirts of the city. New buildings are changing face of the city. I have a vacation of two weeks in late May. What you can do during your vacation? The best thing for me this trip. But I live in Russia in St Petersburg. Anti-Russian economic sanctions greatly weakened the family budget. Salary become smaller and the prices higher. I would like to spend a vacation in Spain, Greece or Turkey, but I can not afford it. Where to spend the next holiday? Perhaps in the Crimea? The cheapest option turned out to be a holiday in Sochi. How much does it cost? Flight from St.
What country to choose for a vacation trip: Spain, Greece or Turkey? Only a few months after our trip to Thailand, again, we may take a week off in late May. Where to go now? What we want to get? Warm sea, good climate, low price.